Larsen & Toubro is a USD 16 billion technology, engineering, construction, projects, manufacturing and ﬁnancial services conglomerate, with global operations. It addresses critical needs in key sectors – infrastructure, construction, defense, hydrocarbon, heavy engineering, power, shipbuilding, aerospace, electrical & automation, mining, and metallurgy. 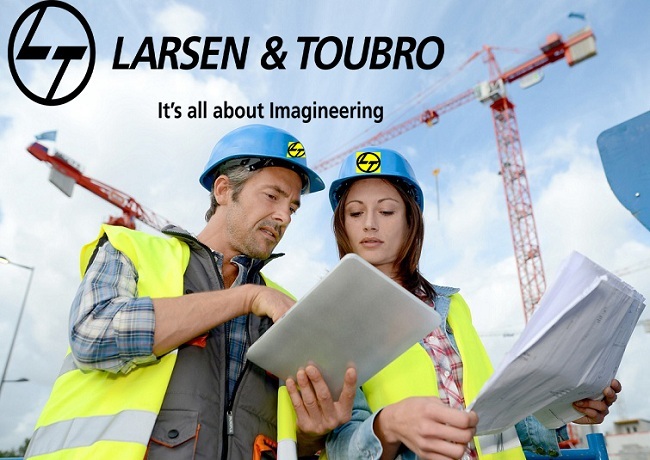 L&T’s integrated capabilities span the spectrum of ‘design to deliver’ solutions. Over seven decades of a strong, customer-focused approach and a sharp focus on world-class quality have enabled it to maintain a leadership position in its major lines of business. The Company has manufacturing facilities and ofﬁces in several countries, and a global supply chain. It delivers landmark projects and products, helping clients in 30 countries to create long-term progress and economic growth. Characterized by professionalism, high standards of corporate governance and sustainability, L&T continues to evolve, seeking better ways of engineering to meet emerging challenges. Experience - Freshers and various experience in 2 - 15 yrs. In Project site. Project area: PROJECT SITES AT Orissa/MP/Anywhere in India. Execution, Erection, Testing & Commissioning Of transmission lines and LT Lines. Drawings, Site Survey, Pole Schedule, Monitoring of All Erection Activities. Site Management, Quality Checking, BOQ Preparation. Bill Preparation, & Bill Verification of Sub-Contractor & Client. Preparing a daily report of site work. Site handing over to The Client. I get a lot of great information here and this is what I am searching for. Thank you for your sharing. I have bookmark this page for my future reference.search finance jobs in hyderabad.